Get ready to have an astonishing looks with this smart jacket inspired by Alexandra Daddario. We offer a high-quality replica just like same as the original. 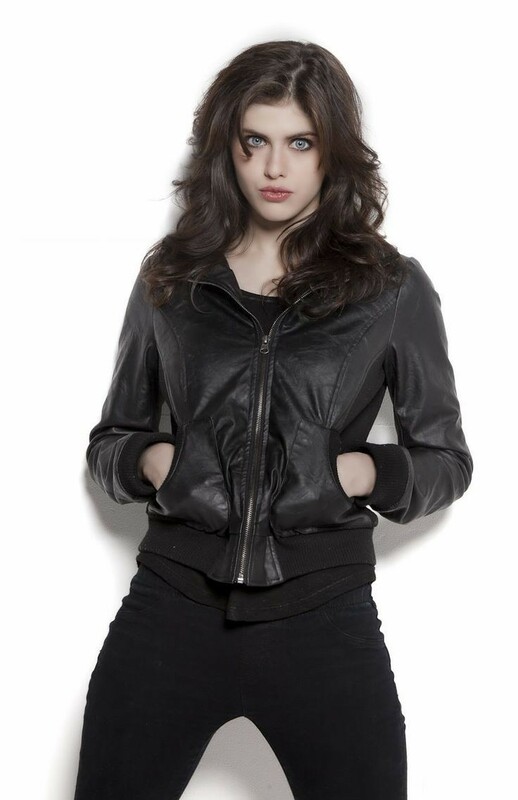 Alexandra Daddario Stylish Black Bomber Designer Jacket is 100% pure leather. While it has viscose inner lining. This elegant jacket has turndown collar, front YKK zip closure, full sleeves with knot ribs band and two waistline pockets. This sophisticated yet trendy jacket is unavoidable for your daily routine. So, shop this bomber jacket and live fashionably even in winters. This long maxi turned coat is exactly what I was looking for. Unique designed leather dress. The color and stitching is simply awesome. It is radiantly finished with the best quality and accurate design. This is a truly cozy outfit for winter and fits perfect. Delivery time disappointed me as I couldn’t resist wearing it but the packaging and quality amazed me. Thanks, Famous Movie Jackets.